Karen Shannon is a Scottish milliner with 25 years experience making and specialising in hats and headwear for Film , TV, Theatre, Opera, Ballet and the Media. After successfully completing a degree in Metalwork and Jewellery Design at Duncan of Jordanstone College of Art , Karen continued her studies at the London College of Fashion and the Royal College of Art. Her growing interest in millinery led her on to work for Royal milliner the late Frederick Fox . Where she gained valuable knowledge and experience making couture hats for private clients as well as hats for Harrods , Fortnum and Mason and Neiman Marcus. Karen moved on to work for Stephen Jones where she enjoyed the more creative approach of working and made hats for private clients and the Paris fashion shows including Claude Montana, Lanvin and Hannae Mori. After returning to Scotland in the early 1990`s Karen worked extensively for four years for Scottish Opera and Scottish Ballet making hats and headwear for countless new productions. She also followed her Father`s footsteps and began teaching at Duncan of Jordanstone College of Art in Dundee. Based in Clerkenwell for the past seventeen years Karen has built an excellent reputation as a highly skilled and creative milliner. Credits include, Star Wars ‘The Phantom Menace’, ‘The Fall’, ‘Harry Potter’, ‘Master and Commander’,’The Golden Age’ and more recently ‘In the Heart of the Sea’. Clients include The National Theatre, Shakepeares Globe ,The English National Opera , RSC, The BBC, ITV, Rambert Dance Company , Dutch National Ballet , San Francisco Ballet as well as numerous West End Theatres. 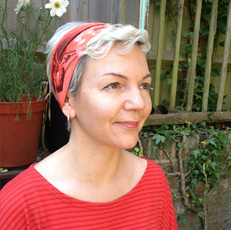 Karen also teaches millinery at Morley College, Kensington & Chelsea College , Rose Brufords College of Theatre and Performance and has recently been invited to teach at The London College of Fashion. © 2019 Karen Shannon All Rights Reserved.